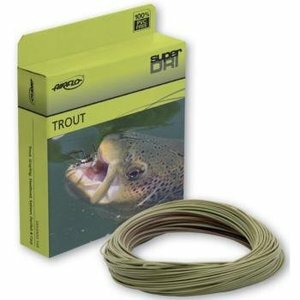 Airflo Ridge Clear Camo Fly Line uses a camo core and clear coating blend to create a color perfect for sneaking up on the fish in the weed beds. Airflo Ridge Clear Camo Fly Line uses a camo core and clear coating blend to create a color perfect for sneaking up on the fish in the weed beds. The clear PU coating blend and the ultra supple core provide superior flexibility, allowing the line to cast more seamlessly for a delicate presentation. 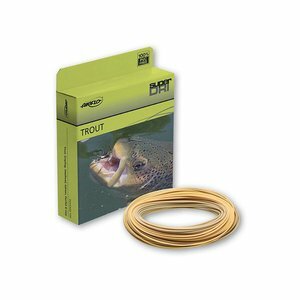 AirFlo Super-DRI Elite, Thego-to trout taper. 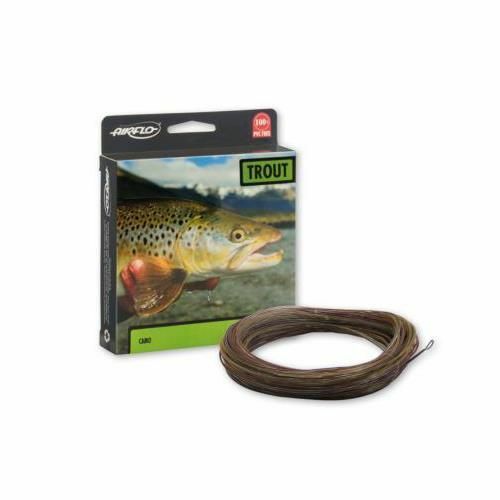 With a modest front taper and standard head length, this line does it all, good for all aspects of trout fishing. 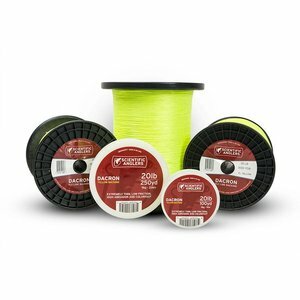 Airflo Super-Dri River and Stream Fly Line, Starting with Airflo’s patented polymer, Airflo chemists formulated Super-DRI, a new material that repels water, dirt, and surface scum better than any material in the history of fly lines. Airflo Super-Dri Nymph/Indicator Fly Line, Kelly Galloup's new design! 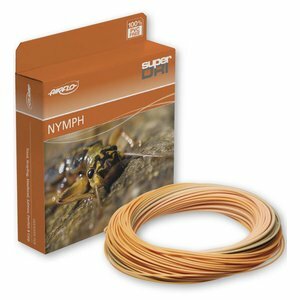 A good Nymph and Indicator line needs to be able to form efficient loops that can straighten out heavy flies and large indicators. 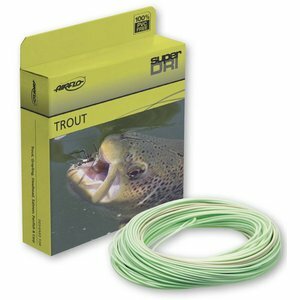 Airflo Super-Dri Bandit Fly Line, This two tone olive fly line has the first 12’ of Camo bands to help break up the line profile through both air and on the water for ultra stealthy presentations.